British design firm, Cohda Design, have created a video that shows how they make the RD Legs Chair that was designed by Cohda’s founder, Richard Liddle. 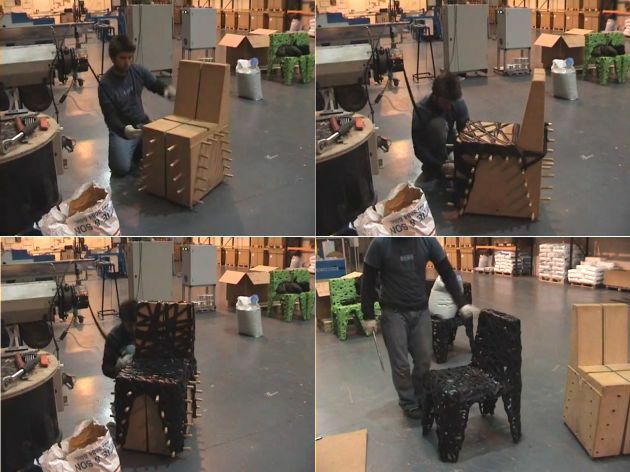 Besides simply being something interesting to look at, the chairs use a proprietary process that allows them to make the chairs from 100% molten plastic waste. For more info on their use of reclaimed plastic, read this article – here. To watch the making of the RD Legs Chair, click here, or on the image below.